A compilation of films beginning with the Coronation procession of King George VI, followed by wartime parades in Sevenoaks. A scrapbook’s pages are turned to reveal titles. The first film in the compilation shows the 1937 Coronation celebrations in colour. Shops and buildings are decorated with red, white and blue flags and bunting. There is a brief shot of household cavalry riding towards Buckingham Palace. “The Coronation Procession” includes shots of military bands and cavalry, and the gold Coronation coach. “Wartime Parades in Sevenoaks 1940-45” Members of the Civil Defence Services (CDS), St John Ambulance women and Red Cross nurses gather for a parade in Sevenoaks. Officers, dignitaries and troops gather at the parade ground. An officer addresses the crowds. Awards are given to women of the St John Ambulance (?). Further scenes of the parade on the street show officers taking the salute from passing CDS, youth groups and troops. The various groups gather on the parade ground for inspection. Colour scenes of a fete follow. Children play games at a variety of stalls, and take part in different types of races. Mothers queue at a stand to have their babies weighed. There is a brief shot of two YMCA tea vans. Further shots of the parade ground show officers, dignitaries, onlookers and troops departing. This compilation was put together by the Sevenoaks Cine Society but it is not known who the individual film-makers were. The focus on one main subject (St John Ambulance women) would suggest that most of the compilation was shot by the same person. The colour material of the coronation is on early Kodachrome and shows a fade to red, characteristic of the early years of this colour stock; this is not evident in the colour material later in the compilation. 1937 coronation festivities can also be found on [Crawley Events] (1928 - 1937). Further examples of wartime parades and newsreels in Screen Archive South East’s collection include Walton’s Parade for Victory (1941), Civilians in Uniform (ca. 1946) and Leatherhead Newsreel (1939 - 1945). The BFI in London holds many ‘How To’ manuals and publications giving advice to the amateur film-maker and cine societies. The catalogue is searchable online. In addition to its permanent exhibits, the collections of the Imperial War Museum include Film and Video, Photographs, Sound, Art, Documents and Printed Books. Amateur film is well represented in the Film and Video Archive. The collections’ database is searchable online. The Local Studies collection includes photographs, posters, periodicals and local newspapers covering life in Sevenoaks during the Second World War. Sevenoaks Library is now part of Sevenoaks Kaleidscope. “The Mass-Observation Archive specialises in material about everyday life in Britain. It contains papers generated by the original Mass-Observation social research organisation (1937 to early 1950s), and newer material collected continuously since 1981.” The Archive holds much material relating to the Civil Defence Service and life in wartime Britain. A search facility is available online. The BFI National Library in London houses a selection of periodicals relating to amateur film-making, including Amateur Cine World and Home Movies & Home Talkies. The magazines contain many references to cine clubs and societies nationwide. 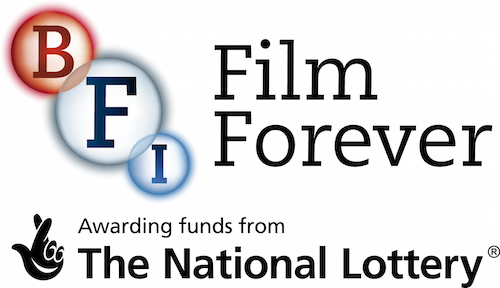 “An international organisation whose aims are to further interest and education in relation to all aspects of film and video making and associated visual arts.” The website has links to further useful resources as well as lists of cine clubs and societies nationwide.